All of these portable power banks support Qi wireless charging for iPhone X, iPhone 8 and iPhone 8 Plus. No cables needed to juice up! Who Needs Cables? Grab One of These Qi Wireless Enabled Power Banks to Charge up Wirelessly Wherever You Are. 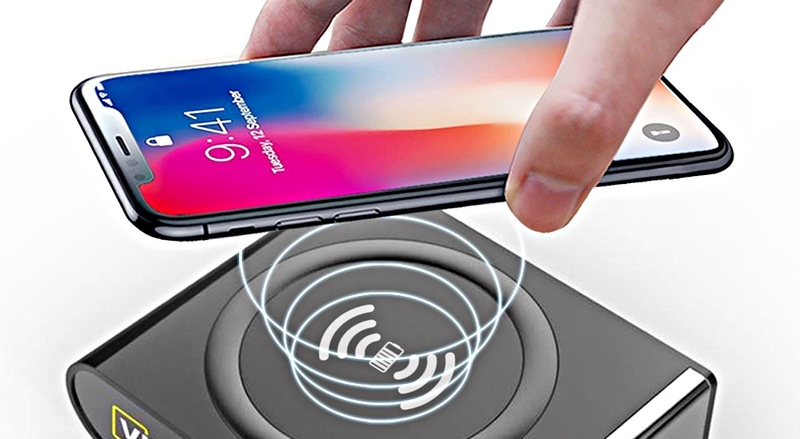 Apple’s pretty late to the wireless charging party, but it’s obvious that the Cupertino giant couldn’t resist the convenience that comes attached to the tech. Just place your phone on the designated spot and you start powering up immediately. But of course, why limit wireless charging to just your bedside table, workspace or car, right? Why not take it anywhere you want? in today’s list, we’re going to lay down several Qi wireless enabled power banks that let you juice up your iPhone X, iPhone 8 or iPhone 8 Plus without cables. Let’s jump right in! Fonesalesman QiStone+ – Price $59.99. This sleek little power bank features wireless charging on the giving and receiving end, both. 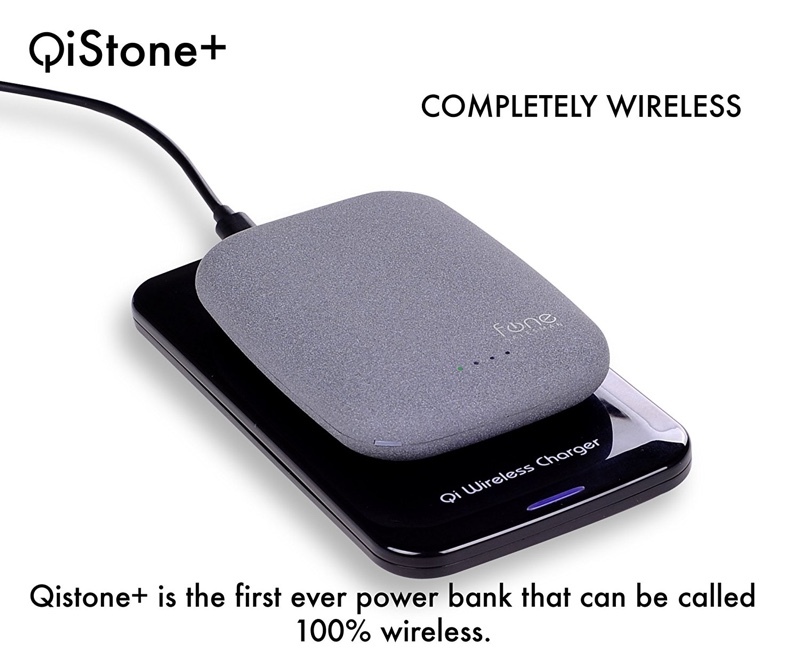 This means not only you can charge your iPhone wirelessly, but you can top up the power bank itself without a cable. It even features a battery of 4,000mAh, which is more than enough for a full charge and a half. Slip this one in your pocket and forget about cables completely. MOPO 12,000mAh Power Bank With Wireless Charging – Price $32.99. With a massive battery capacity of 12,000mAh, this power bank ensures several charges. But it takes things further with two USB ports as well so you can share the power with others, if the need arises. But remember, this charger does not support wireless charging on the receiving end. 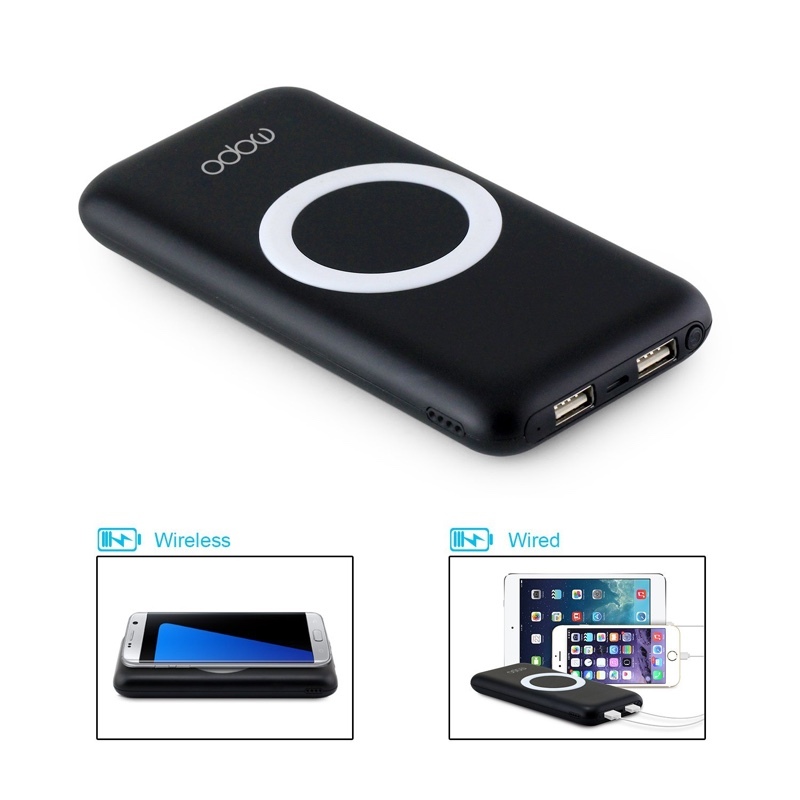 CVIDA 10,000mAh Wireless Power Bank – Price $39.99. 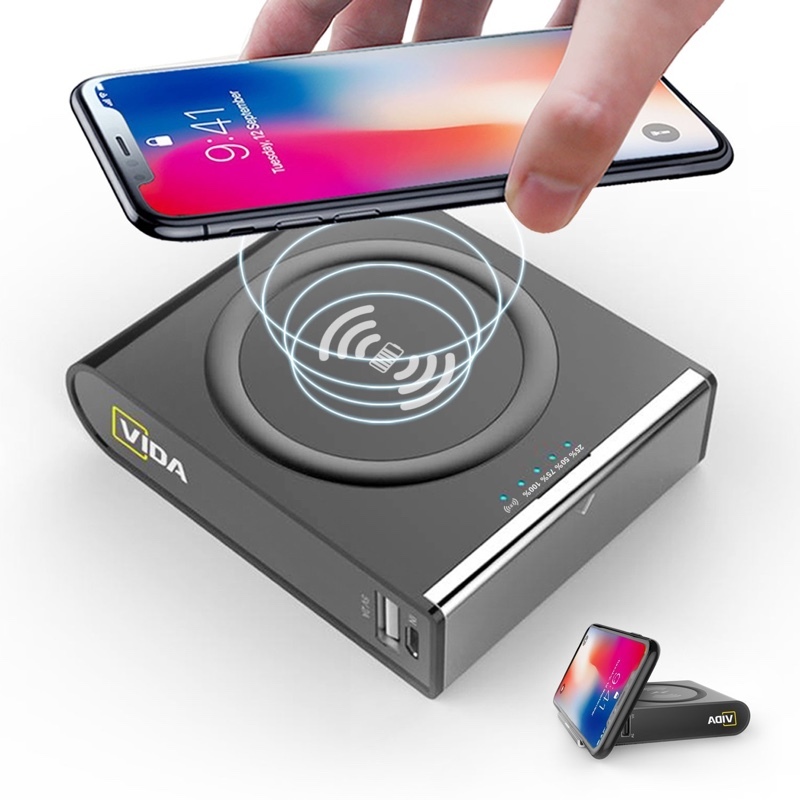 The power bank from CVIDA is feature packed. Not only it can charge a device wirelessly, but it also includes a Quick Charge 3.0 port and a USB-C port. But sadly, it doesn’t have wireless charging on the receiving end. 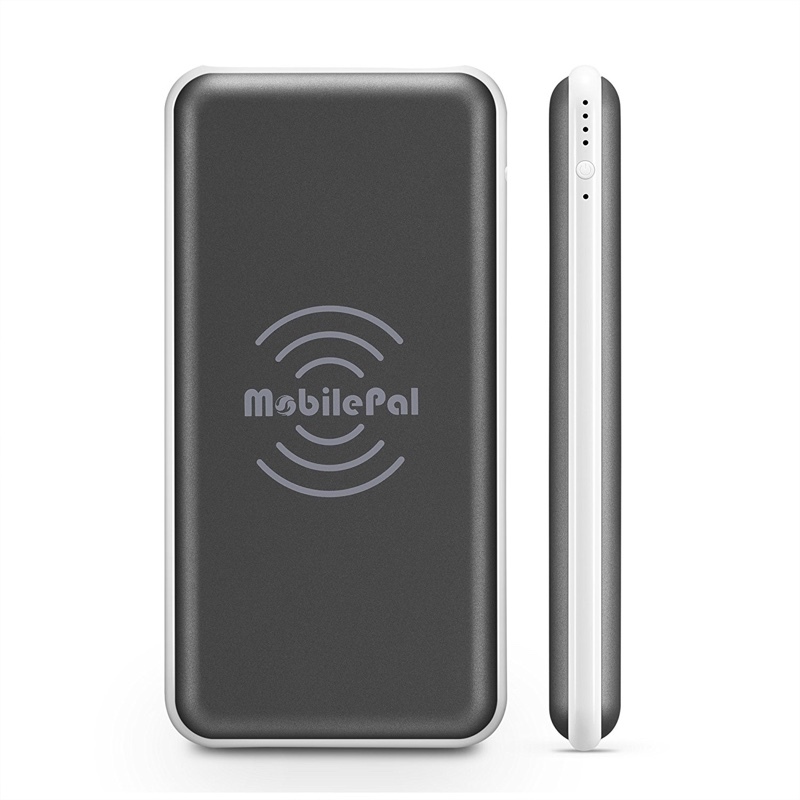 MobilePal 10,000mAh Wireless Power Bank – Price $39.99. For 40 bucks, it might not be the prettiest power bank around, but it sure does everything that a truly wireless power bank should. It features wireless charging on both ends and packs a respectable 10,000mAh reserve inside. This should easily last you a couple of days.